We do not have to worry about stock-out situations or meeting bulk requirements, as we have an equipped warehouse facility. It has the latest inventory control and management software and helps us maintain continuous product availability. Purchasers can order our goods in wholesale, as we ensure year around obtainability. In addition, we have dependable shipping network to ensure timely distribution. 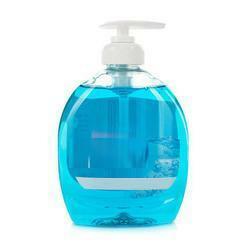 Liquid soap is made with a unique formulation which gives a soft and gentle touch. Leaves a fresh fragrance. Cares for your mild hands.